With high percentage of healthcare spend addressing chronic disease, the issue of high healthcare costs and the need to abate them has never been more significant. Proactive preventive measures in healthcare ae required. Megron Tech examining the ways mobile technologies are influencing provider workflow and efficiencies, and changing the way hospitals and health systems operate. Megron Tech is researching on how mobility can influence the clinical specialities or operational areas and developing mHealth solutions. • Enabling the hospital staff, carers with patient information at fingertip. • Doctor, patient communications over mobile platforms. 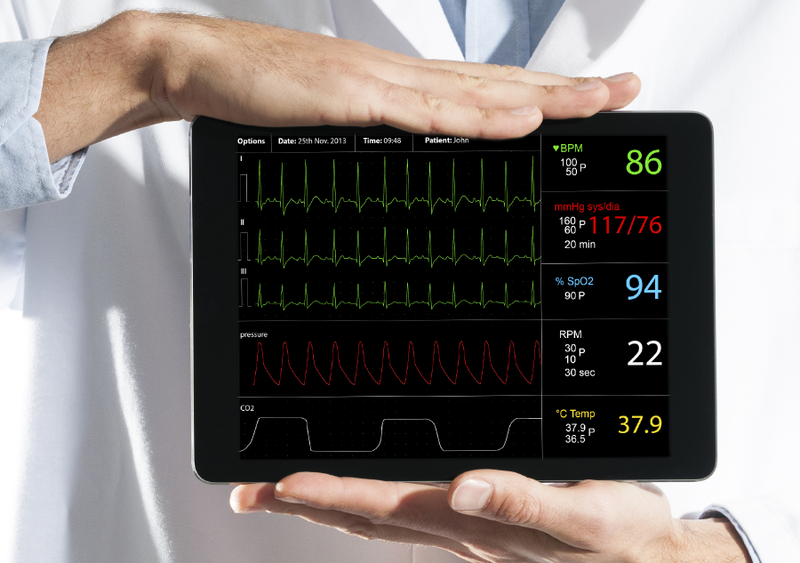 • Heart monitoring apps interfacing with professional grade ECG machines. • We can build apps to collect, interpret and summarize data with the goal to improve fitness, performance and health. • mHealth solution for clinical trials or operational areas. • Analysing the KPIs and define your mHealth success. • Developing apps for various wearable platforms. Get a free Request Quote here.